High serum levels of interleukin (IL)-8 were highly specific and showed high sensitivity when combined with either the bronchoalveolar lavage fluid (BALF), lateral-flow device (LFD), or BALF Aspergillus polymerase chain reaction (PCR), for differentiating probable invasive aspergillosis from cases with no such infection, according to new findings published in the Journal of Infection. In the current study, the researchers investigated the diagnostic potential of IL-8, IL-6, and other cytokines, and other established and emerging tests for invasive aspergillosis and invasive mold infections in a prospective cohort of patients with hematological malignancies, who were treated at a single institution. The cohort included 106 cases, of which 11 had probable invasive aspergillosis, 32 with possible invasive aspergillosis, and 63 cases classified as being negative for invasive aspergillosis. The patients all had suspected pulmonary infections and underwent bronchoscopy, and serum samples were collected within 24 hours of undergoing BALF sampling. Both the serum and BALF samples were used to evaluate the diagnostic performance of the Aspergillus-specific LFD, Aspergillus PCR, β-D-glucan, and cytokines that have previously shown significant associations with invasive aspergillosis. Diagnostic tests and biomarkers showed better performance in BALF as compared with blood, except for serum IL-8 which was the most reliable blood biomarker. Investigators found high levels of serum IL-8, >300 pg/mL, to have a 98% specificity for detecting invasive aspergillosis, with only blood Aspergillus PCR exceeding this level of specificity. Further, they found combining IL-8 with BALF LFD had a sensitivity of 100% and specificity of 94%, and IL-8 combined with BALF PCR had a sensitivity of 91% and a 97% specificity. 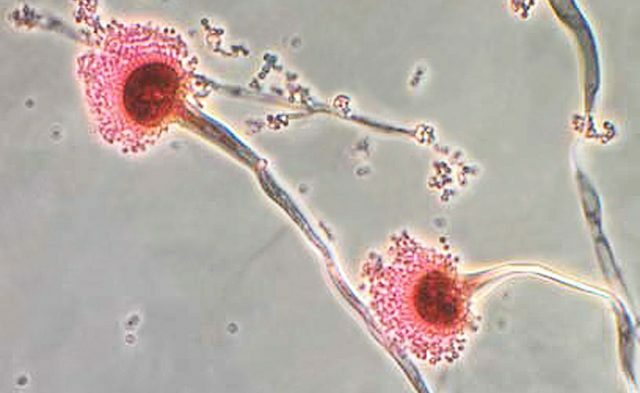 “Our study indicates that serum IL-8 testing may be a valuable addition to clinical routine for diagnosing invasive aspergillosis and invasive mold infections in high risk patients who receive mold-active antifungals,” concluded the investigators.